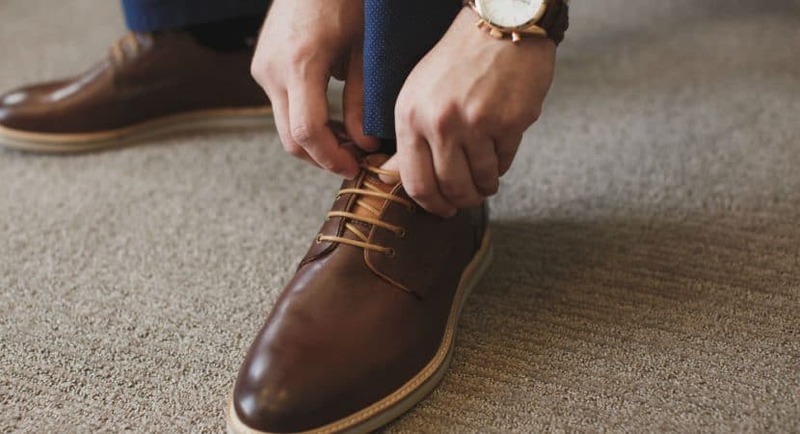 We’ve all had those horror stories of dress shoes that are so painful and cause blisters all over your feet that it makes you think of completely giving them up. In fact, people often struggle to find dress shoes that are comfortable, affordable, and stylish. Many seem to associate pain with wearing dress shoes when in truth, you can actually learn how dress shoes should fit to save your feet from pain and blisters. Plus, getting dress shoes that fit you properly can extend their life, which means you don’t have to keep buying new shoes every few months. Shoe manufacturers do not have a standard sizing chart which means you can have different sizes depending on the brand of shoes you buy. Although this can be a challenge, you should already have a general idea on what size shoes you wear so you can have a ballpark figure when you go shoe shopping. Some companies also offer size charts, which come in handy. Most dress shoes are made with leather, a material that does not stretch a lot. If the shoes you buy do not fit you perfectly from the start, they will not fit you at all. Try them on to see if they pinch; if they do, you’re better off with a bigger size. Your feet expand throughout the day and buying shoes, or measuring your feet in the afternoon gives you a better idea on how big your feet really are. This leaves room in the shoes you finally buy for your feet to expand during the day. It may come as a shock, but your feet are not the same size. One foot will be slightly smaller than the other, and knowing this will help you know how dress shoes should properly fit. Get the shoe size that accommodates the larger foot so that both feet will be comfortable at all times. Wearing dress shoes without socks is uncomfortable and unhygienic, so you have to take into account the space your socks will occupy. Try your dress shoes on for the first time while wearing a pair of socks you typically use. This will give you a clear estimate whether the shoes are still comfortable, even with socks on. It is a myth that all dress shoes are uncomfortable and painful to wear. If you know what to look for when shopping for dress shoes, you will find an appealing pair that is comfortable to wear the entire day.